Sadio Mané has been named Premier League Player of the Month for March, coming out on top from a shortlist that also featured teammate Andy Robertson, Everton full-back Seamus Coleman, Leicester forward Jamie Vardy and in-form midfielders James Ward-Prowse and Bernardo Silva. Mané is the second Liverpool player to claim the award this season, after Virgil van Dijk did so in December, and one of three Senegalese footballers to have won the accolade – bonus points to anyone who correctly called Demba Ba (December 2011, Newcastle) and Diafra Sakho (October 2014, West Ham). 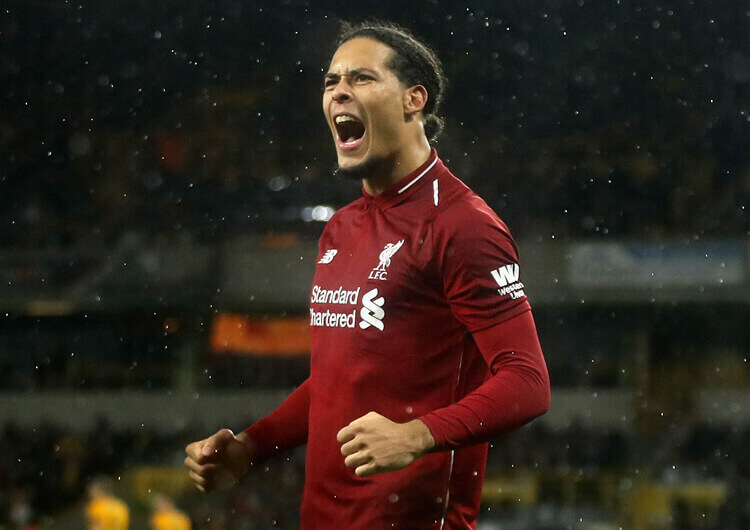 The 27-year-old’s three goals in four league games during the month also helped Liverpool, for whom Jurgen Klopp was named Manager of the Month, keep pace with Manchester City in a relentless battle for the Premier League title. Mané failed to score in his team’s first and final games of the month – a 0-0 draw at Everton and that dramatic late home win over Tottenham – but in between he notched a brace in a 4-2 defeat of Burnley and the first in a 2-1 win at Fulham. Mané’s form has played a huge part in Liverpool’s superb league performance this season. He currently sits only one goal behind co-leaders Mo Salah and Sergio Aguero in the race for the Golden Boot, although perhaps surprisingly he has provided only one assist in the league this season – a low cross from the left for Salah in the 3-0 victory away at Watford. Mané’s Premier League goalscoring record at the time of writing reads 62 goals in 155 appearances for Southampton and Liverpool. An average of 0.4 goals per game looks particularly good when you consider he is an attacker rarely used a central striker, and he has been consistent in his five seasons in England too – this has been by some distance his most prolific campaign, but he has never once in his five seasons failed to reach double figures. The right-footer has mostly been deployed from the left in his two seasons with Liverpool. His inside movements, both with and without the ball, are well-timed, explosive and often difficult to track, while his ability to change both the angle and speed during these movements can severely disrupt the balance between opposing full-backs and centre-backs. His diagonal runs across the penalty area perfectly combine with more penetrative vertical runs from the likes of left-back Andy Robertson or central forward Roberto Firmino – Mané combined with the latter when opening the scoring against Fulham (above). This often means that Liverpool and Mané in particular can attack defences across two planes of movement, with opponents trying to simultaneously run backwards to protect the goal, but also sideways to block off passing options. This is where Mané’s combinations can be lethal – he can link and skip past opponents without breaking stride. Despite his small frame, the quality of Mané’s movements away from the ball means he can also offer a surprising aerial threat, especially from first-time crosses at set-pieces (below). 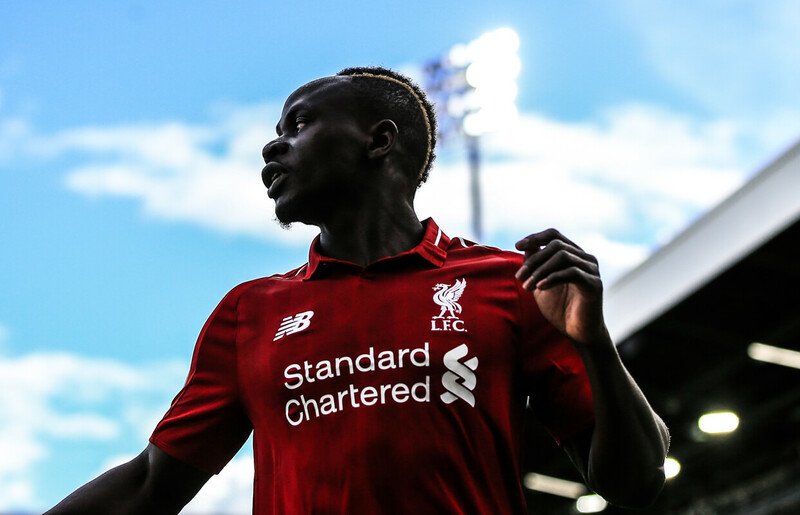 With opposing defenders often looking for more obvious aerial threats, such as van Dijk or Firmino, or trying to assess the flight of the ball in, it is easy to see how opponents can lose track of Mané inside the area. It’s an obvious point to make, but Mané also has exceptional acceleration, particularly when it comes to simpler movements such as outpacing or arriving before his marker. He is thus extremely dangerous when trying to break a low block or attacking a cross, but also during moments of transition – witness his goal to finish off Burnley in stoppage time last month (below). His ability to outrun most opponents allows Liverpool to play longer vertical passes in behind, especially if the likes of Salah and Firmino have dragged the back line higher up the pitch. In four league games across March, the Liverpool front three of Mané, Salah and Firmino took 36 shots between them. 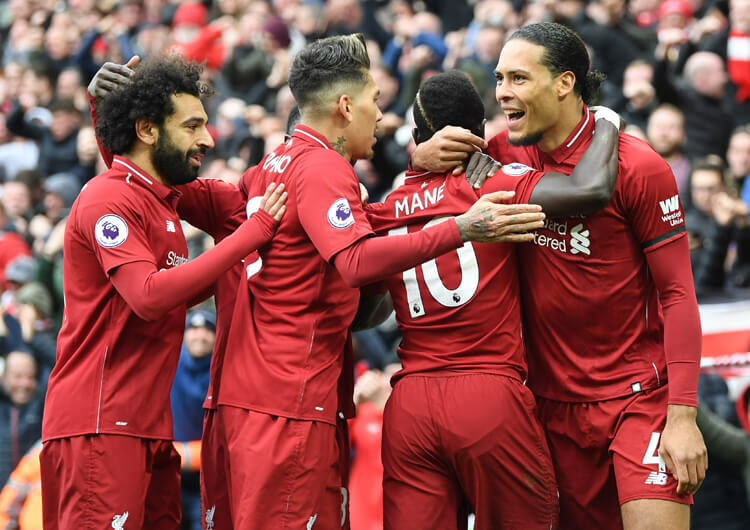 Mané’s three goals from nine shots represented the best return of the three, but it is important to understand the quality of their work out of possession too – between them, the trio recovered possession 21 times in the month. Mané was again the pick of the three in this respect, registering eight recoveries against opponents including Tottenham’s playmaker Christian Eriksen (below). His intense work rate and desire to make recovery runs also proved invaluable against direct opponents who like to get forward – Spurs right-back Kieran Trippier and Everton’s Seamus Coleman both spring to mind. Finally, whenever Mané wasn’t scoring goals or regaining possession, he certainly pulled his weight when it came to creating chances for fellow members of his front line. 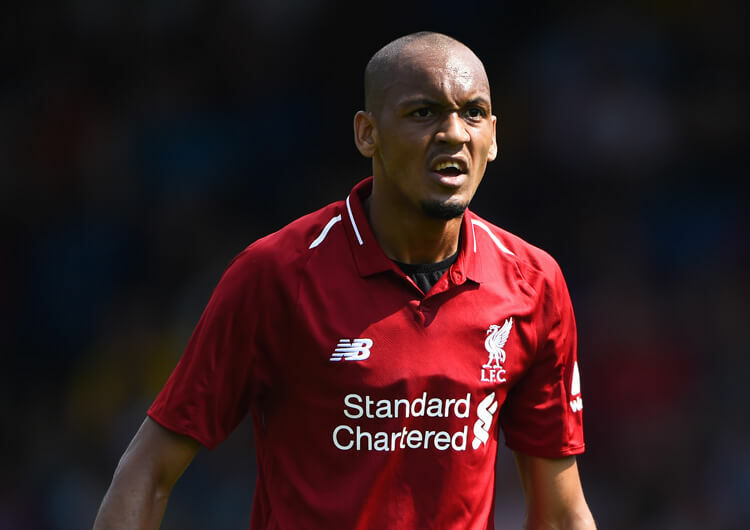 Of the 51 key passes made by Liverpool’s front three in March, the Senegal captain was responsible for 17 – exactly one-third. It’s almost like the Reds’ front three are a very finely tuned machine.